The Shaker style is popular for its simple and distinctive look. This beautiful Amish Furniture Eden English Shaker Small Night Stand is handcrafted using solid wood. 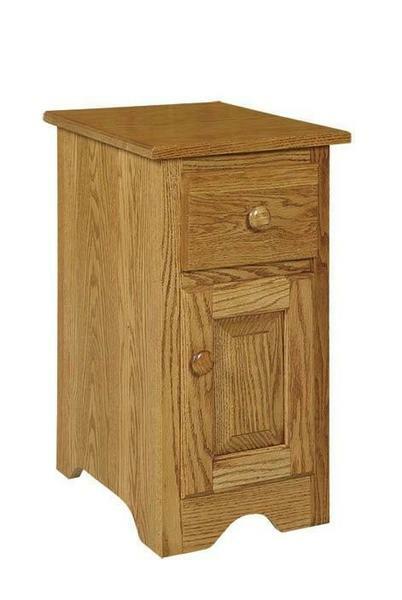 This beautiful Amish Furniture Eden English Shaker Small Night Stand is handcrafted using solid wood. It is beautifully finished for a magnificent appeal. Our heirloom quality Amish furniture will grace your home for generations! We received the headboard today. All problems are fixed and it looks fabulous. Thanks for all your effort in expediting the shipping. Appreciate the effort you put in to resolve the issue.